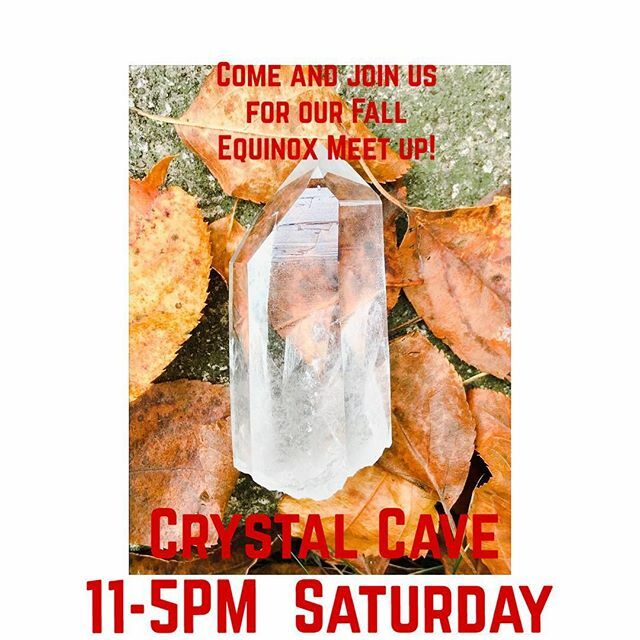 Come by the Crystal Cave as we enter into the first day of Fall! They will be going over the energies during this shift, how to create a Harvest Alter and some guided activities! astrology signs most affected during this time and a little history 101 behind this fall harvest will be gone over as well! Refreshments will be provided along with a Harvest herbal blend tea made over at the Crystal Cave! Time:3-5pm Where: Crystal Cave When: Saturday 22ndAdmission: Free! Suggested donation of $5.00 if you feel called to do so!